Phosphorous, nitrogen and potash are the three main plant nutrients. Phosphorous plays an important role in root development and in the synthesis of protein, fats and carbohydrates. Its deficiency in the soil can be made up by adding natural or manufactured phosphorous bearing minerals / rocks. Apatite and rock phosphate are the two important minerals of phosphorous. Apatite is of two types. i.e., chlor-apatite having a composition 3Ca+3 (PO4) 2CaCl2 and fluor-apatite having a composition 3Ca (PO4) 2CaF2. 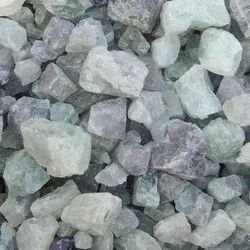 Looking for Gypsum / Fluorspar / Rock Phosphate ?